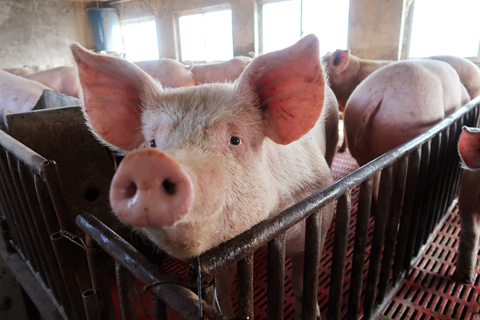 China’s ongoing efforts to contain a national African swine fever epidemic are moving from the farm to the slaughterhouse. That’s the word from the Ministry of Agriculture, which has set a May 1 deadline for local offices to “clear up” potential disease-spreading risks associated with slaughtering procedures, according to an announcement on the ministry’s website. Slaughterhouses without pollution discharge permits or proper disease prevention measures will be ordered to take immediate corrective actions or shut down. Those that take rectification steps but fail to meet standards by July 1 will be disqualified as slaughterhouse operators. Slaughter must be suspended for any pigs that might have the disease, and pigs suspected of carrying the virus must be isolated for further testing, according to the announcement. The Ministry of Agriculture said in January that more than 916,000 pigs had been culled as of Jan. 14, as China grapples with a disease that is highly contagious among pigs. A Caixin estimate based on official numbers puts the latest figure closer to 950,000.